When we talk about the game of cricket, there is a general tendency to run mad in advocating the importance of good batsmen, bowlers having the capacity to bowl out the opposition, here we tend to overlook the small species of Wicket keeper -Batsman. It is very easy & convenient to ignore the best of the keepers, for their performances don’t grab the headline, their lapses do. Just Ask Kamran Akmal. Some 15 odd years ago, if you had asked someone what is the role of a wicket-keeper, you would have heard he needs to be quick, agile, and comfortable with spinners and pacers alike and not drop catches. Not anymore. Wicket-keepers role has evolved and come a long way since these times. Wicket keepers are expected to keep well, whether it be standing up to a spinner or keeping up to medium pacers once a while. He needs to dive a lot, have a mammoth reach and dropping the catches is a BIG NO. And that’s not all. He needs to bat well, particularly expected to blast out the opposition bowlers. One cannot be one of the best wicket keepers of the country- He has to be the best, for there is for one only unlike say batsman or a bowler. With this shift in the role of the keeper, we have been witness to many interesting and inspiring characters that have donned the gloves for their respective teams, and batted like their life depended on it. Cricmatez here takes a look at the Top 10 Wicket keepers of all time. The dashing wicketkeeper batsman from New Zealand, largely responsible for the remarkable turnaround in the team’s’ fortunes culminating with a final appearance at the ODI World cup, this marvel of boldness and aggression sits prettily at No. 10 on the list. Having been shuffled all around the batting order throughout his career, it seems McCullum has finally found his sweet spot as a batsman. His versatility has been on the show in the last year or so, playing contrasting innings like a laborious triple century against India to salvage a draw and a 134 ball 195 against Pakistan to set up a victory in the scorching heat of Abu-Dhabi. Its hard to look somewhere else when the guy is on song. 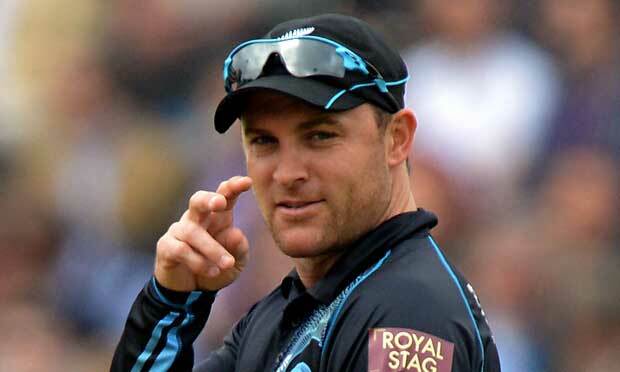 McCullum has claimed 201 dismissals behind the wicket in the test matches, 273 dismissals in ODIs. McCullum has also taken a particular likening to the T20 Format, responsible for setting the IPL on fire with his amazing knock of 158 in the Inaugural match. He is one of the few cricketers to score more than 6,000 runs in domestic T20 with a strike rate of 137.Adding new shots to his arsenal, McCullum also holds the distinction of disposing 155 Kms from Shaun Tait over the keeper’s head. Brendon McCullum will be long remembered for successfully turning the lethargic NZ side, broken in both spirit and field into an ultra aggressive , fearless bunch of individuals playing an exciting brand of cricket.